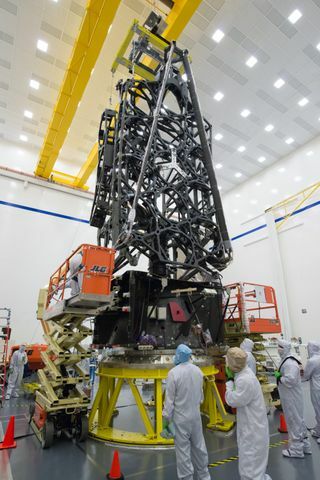 REDONDO BEACH, Calif. â Aug. 26, 2015 â Northrop Grumman Corporation (NYSE:NOC) delivered on schedule the telescope structure for NASA's James Webb Space Telescope Aug. 24 to Goddard Space Flight Center in Greenbelt, Maryland, paving the way for the integration of the 18 hexagonal mirrors that will help scientists observe the formation of the first stars and galaxies over 13.5 billion years ago. 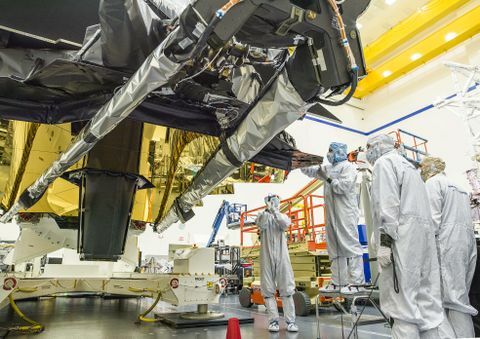 Northrop Grumman is under contract to NASA's Goddard Space Flight Center and leads the industry team that designs and develops the Webb Telescope, its sunshield and spacecraft. Northrop Grumman has completed the integration and testing of the telescope structure, which holds optical assemblies of the telescope including its instruments and mirrors. "The telescope's beryllium mirrors are held together nearly motionlessly in space by the telescope structure, which also acts as a stable platform during ground test operations and launch," said Scott Texter, telescope manager, Northrop Grumman Aerospace Systems. "The stability of this hardware contributes to the Webb Telescope's ability to provide an unprecedented look at our own solar system as well as discover exoplanets well beyond this solar system." The highly efficient telescope structure will also meet first-time thermal stability requirements to minimize thermal distortion. While the telescope is operating at a range of extremely cold temperatures as low as 389 degrees below Fahrenheit, the backplane portion of the telescope structure must not vary more than 38 nanometers (approximately a thousandth the diameter of a human hair). Additionally, the breakthrough folding design of the transformer-like telescope structure enables it to fit inside the 15-foot-diameter fairing of the launch vehicle. 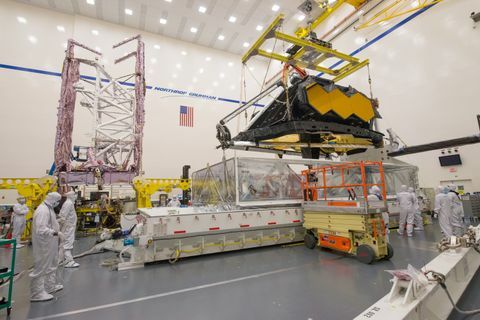 The Webb Telescope's secondary mirror support structure and deployable tower assembly (DTA) also contribute to how the telescope and instruments fit into the rocket fairing in preparation for launch. The graphite DTA was designed, built and tested by Astro Aerospace, a Northrop Grumman company. Additionally, the DTA is responsible for lifting the telescope mirrors and instruments away from the heat of the main spacecraft after deployment. 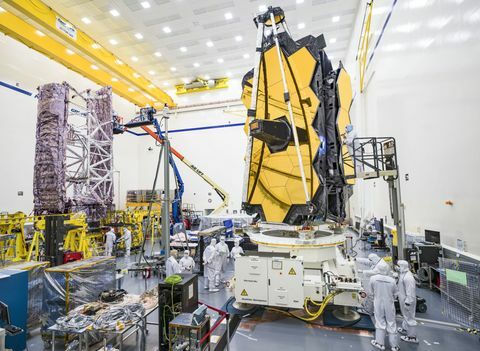 Completing and delivering the structure to NASA marks an important milestone in the journey of the Webb Telescope, which is the world's next-generation space observatory and successor to the Hubble Space Telescope. The Webb Telescope, the most powerful space telescope ever built, will observe the most distant objects in the universe, provide images of the first galaxies formed and see unexplored planets around distant stars. The Webb Telescope is a joint project of NASA, the European Space Agency and the Canadian Space Agency.